Welcome to the website of the foundation "Münch by Meesters". This foundation is raised to keep the technical heritage of Friedel Münch and Helmut Fath alive. These two most talked-about designers of the German motorcycle sport history had one thing in common : Their motorcycles had to be amongst the fastest in the world and they did everything in their power in order to achieve their goal. Their efforts eventually led Münch to the creation of the Münch Mammoth, the first superbike in the world and for Fath winning the 500 cc Sidecar World Championship. 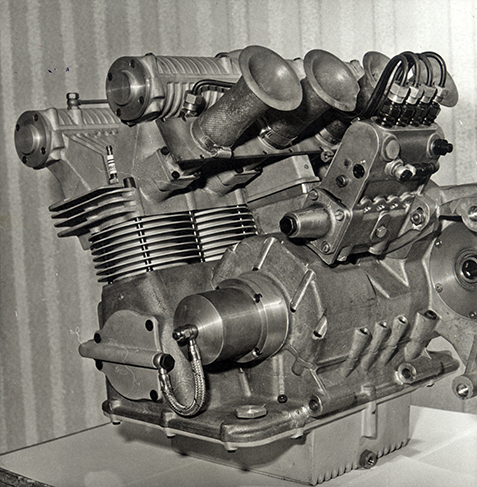 Fath dedicated his whole live to the creation of engines for motorcycle sport. 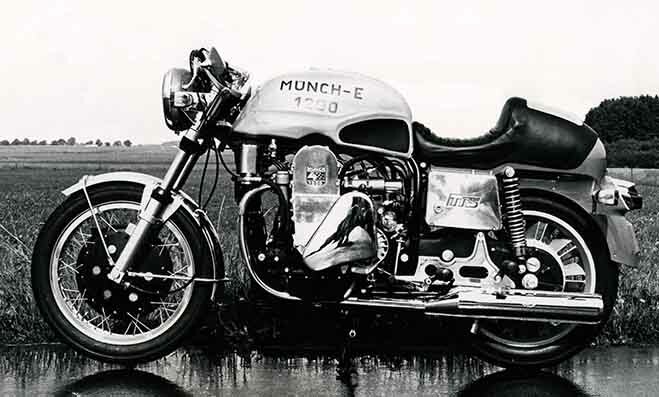 Münch stated with the same goal, but then he shifted his attention from racing motorcycles to the production of trend-setting motorcycles for the road. These handmade motorcycles make until this day a huge impression. But there where others involved in their remarkable career, like the German Prof. Dr.-Ing. Peter Kuhn and the Americans Joseph Floyd Clymer and George McCulloch Bell. And also their story must be told. In 2103 de foundation Münch by Meesters published with the book Mit Herz und Seele the complete history of Friedel Münch and Helmut Fath. Our target is to publish the English version in 2017. In the future we also want to publish a book with all Münch-models. 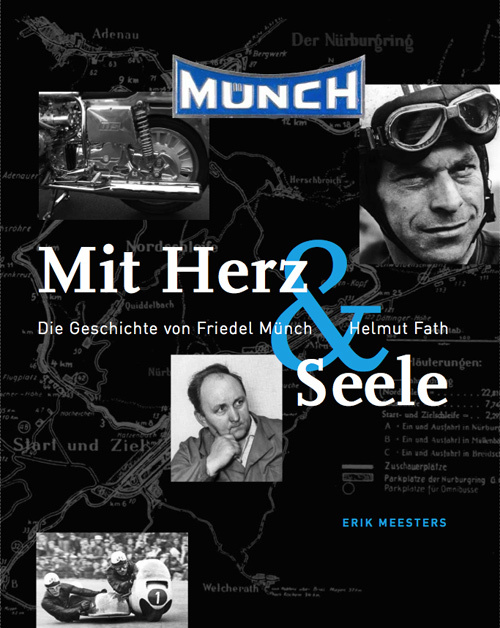 This book will describe every type of Münch motorcycle, from 250 to 2000 cc which Friedel Münch ever has built. It will reveal all known technical information, details, frame numbers and the years of production. We still investigate to gain the necessary knowledge. To make the book as complete as possible, we like to have cooperation from every Münch owner to share the features of there motorcycle. But this works two ways. When you have questions about your Münch-motorcycle please let us know. Maybe we can help you.